The holidays offer us with many opportunities to surround ourselves with friends and family. While these gatherings with loved ones are meant to be happy times, there are opportunities for a tragedy to occur. Whether it is a loved one choking on food at a Christmas party or a young child having a small toy stuck in their throat, there is always the potential for a bad outcome. 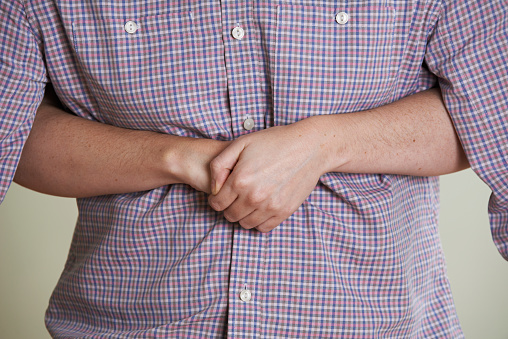 By learning how to administer the Heimlich maneuver, you can avoid a catastrophe by saving a choking victim. Choking occurs when a foreign object gets lodged in the throat or windpipe, blocking the flow of air. In adults, a piece of food is often the culprit. Young children often swallow small objects. Because choking cuts off oxygen to the brain, give first aid as quickly as possible. If the person is able to cough forcefully, the person should keep coughing. If the person is choking and can’t talk, cry or laugh forcefully, The American Heart Association advises administering the Heimlich maneuver immediately. Perform between six and 10 abdominal thrustsuntil the blockage is dislodged. If you’re the only rescuer, continue to perform these measures before calling 911. If another person is available, have that person call for help while you perform first aid. Assume a seated position and hold the infant face down on your forearm, which is resting on your thigh. Support the infant’s head and neck with your hand, and place the head lower than the trunk. Thump the infant gently but firmlyfive times on the middle of the back using the heel of your hand. The combination of gravity and the back blows should release the blocking object. Keep your fingers pointed up to avoid hitting the infant in the back of the head. Turn the infant face up on your forearm,resting on your thigh with the head lower than the trunk if the infant still isn’t breathing. Using two fingers placed at the center of the infant’s breastbone, give five quick chest compressions. Press down about 1 1/2 inches, and let the chest rise again in between each compression. Repeat the back blows and chest thrustsif breathing doesn’t resume. Call for emergency medical help. Begin infant CPRif one of these techniques opens the airway but the infant doesn’t resume breathing. If the child is older than age 1 and conscious, give abdominal thrusts only. Be careful not to use too much force to avoid damaging ribs or internal organs.